Allan, Maud (1873-1956). My Life and Dancing. London: Everett, . First edition . 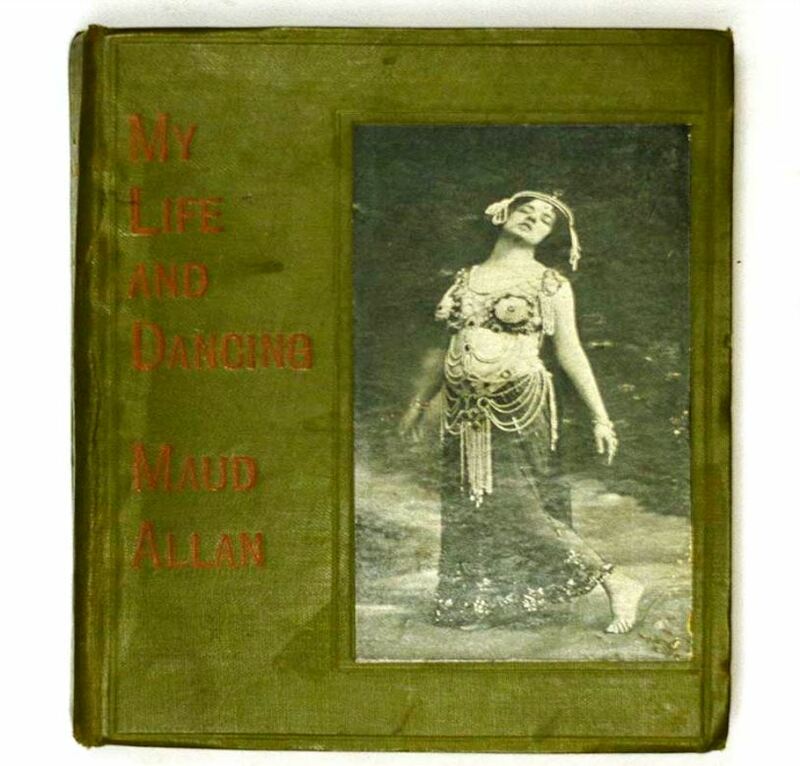 Maud Allan was at the beginning of both modern dance and modern striptease. Placed somewhere between Isadora Duncan and Little Egypt, she is now considered an important figure in 20thcentury women’s attempt at freedom of expression through dance in a way that was free from society’s restrictions. Provenance: Carmen Tórtola Valencia (1882-1955): Early Spanish modern dancer born in Seville in 1882. Her first public appearance was in 1908, in the Gaiety Theatre in London as part of the show “Havana.” Her talent and choreographies were more highly appreciated by the intellectuals than by the general public. Emilia Pardo Bazán said of her that she was the reincarnation of Salomé. She died in Barcelona in 1955. Advertising poster for the 1939 major Ballets Russes exhibition at the Musee des Art Decoratifs, Paris.Sheet size 61” x 34”. 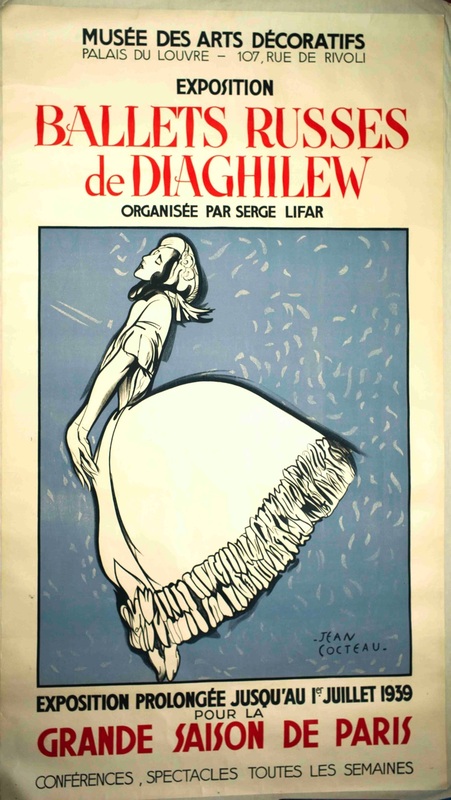 The first Diaghilev exhbition, organized by Serge Lifar, ten years after the death of Diaghilev. For a history of the printing of this poster see our full description. Important engraving of Marie Sallé. Marie Sallé, one of the most prominent dancers of her time, was a daughter of a tumbler. 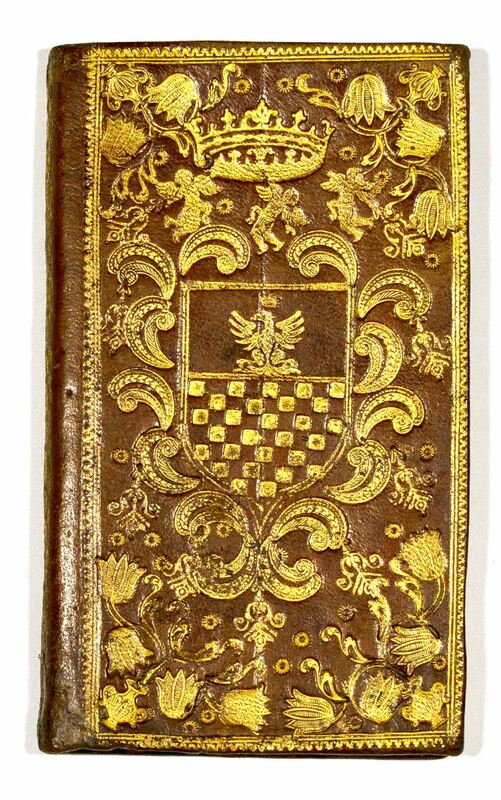 She became a student of Françoise Prevost at the Academie Royale in Paris. 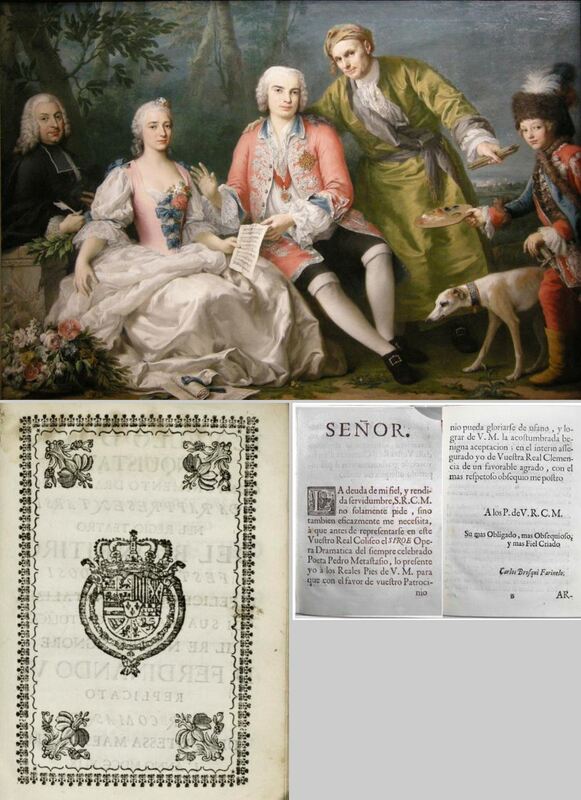 In 1725, the English theatre manager John Rich took her to London where she appeared to great popularity. 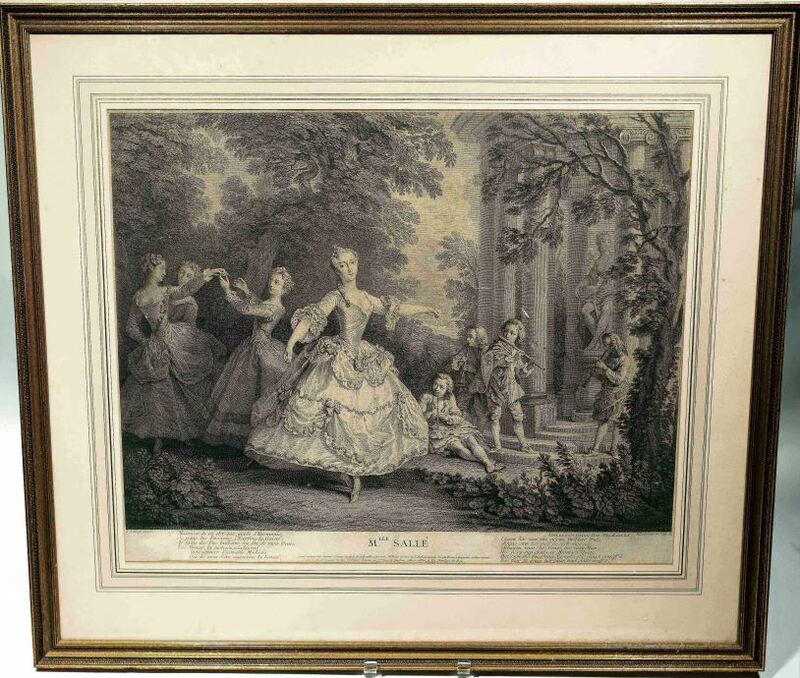 In fact, Sallé’s greatest success was in London because of the stagnant rules of classical ballet at the Paris Opera that prevented innovation “The particular beauty of Sallé’s dancing lay in extraordinary grace, expressive gesture and vivid pantomime.” (Moore 30). 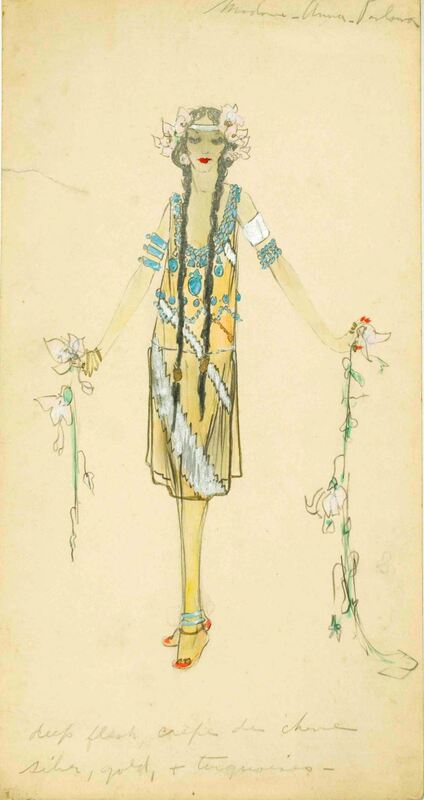 Anna Pavlova in Le Réveil Flore. Auric, Georges. La Pastorale. 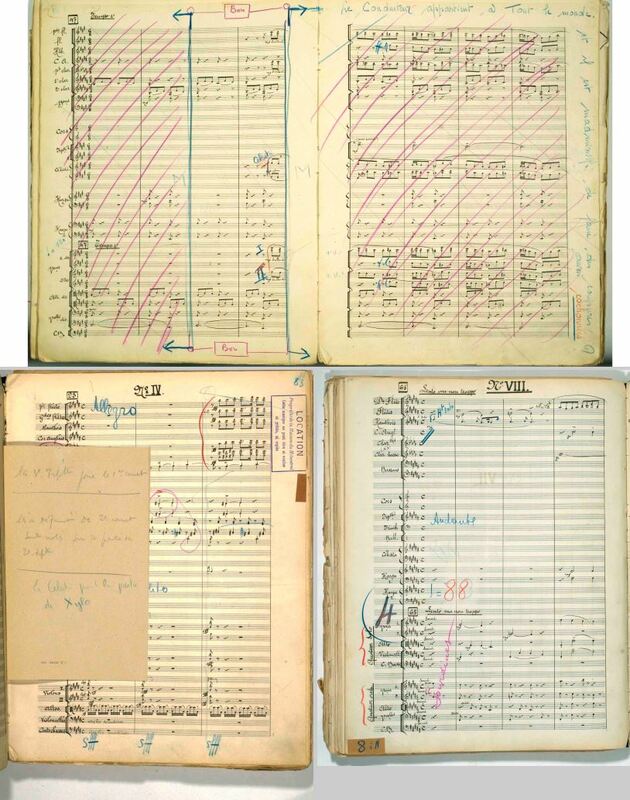 Partition d’Orchestre. (Paris, 1926). 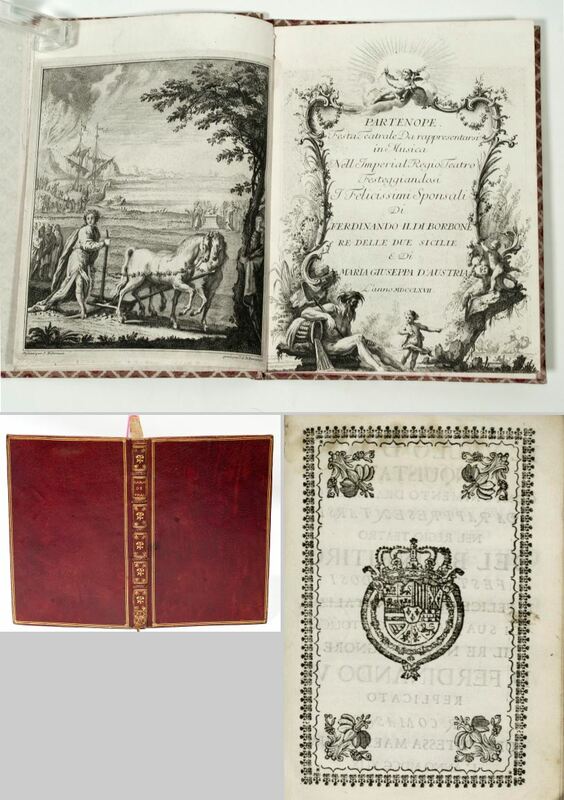 A selection of rare etchings, lithographs and photographs. 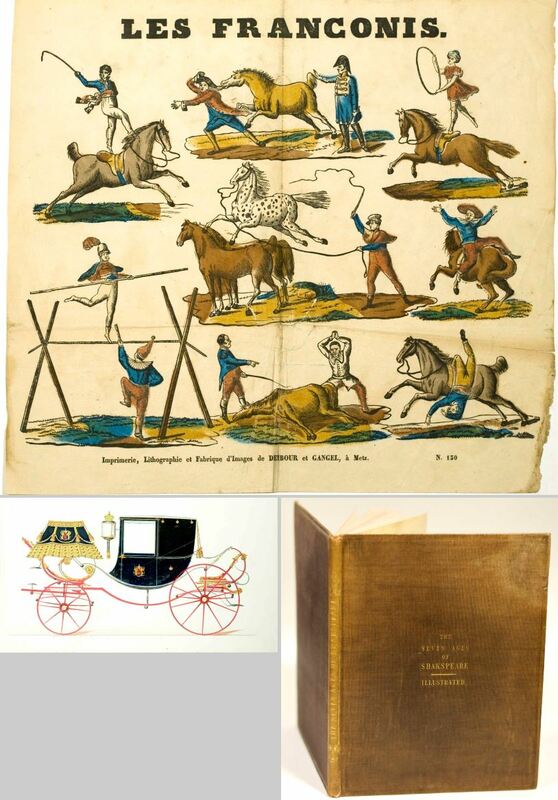 A souvenir print of the famous Parisian Franconi equestrian circus with eight scenes of acrobats on horseback. The Franconi's theatrical circus influenced Ringling Brothers and Barnum & Bailey. 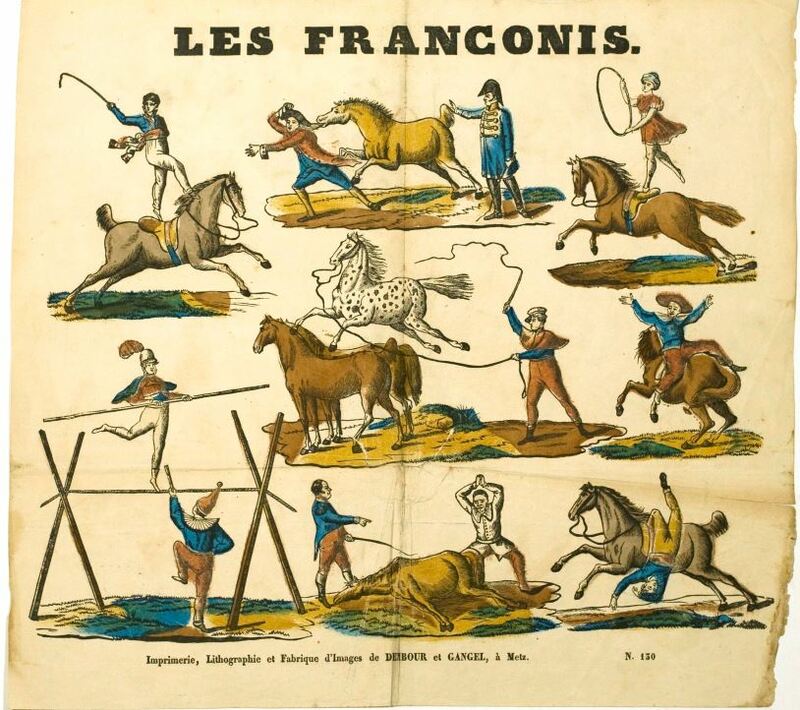 The Franconi troupe were not only wonderful horsemen - “veritable Centaurs-and jumpers, but also expressive mimes and elegant dancers of a kind rare in the modern circuses for they had been formed in the special schools for circus children.” (Mirian Hannah Winter).